I got my hair extensions taken out a couple of weeks ago, and also was way overdue a colour refresh, so my hair felt flat and dull. When I don’t get my hair coloured, my dark blonde roots come through, and my blonde goes a little brassy and boring. That’s the problem with blonde hair, it absorbs so much of the dirt! 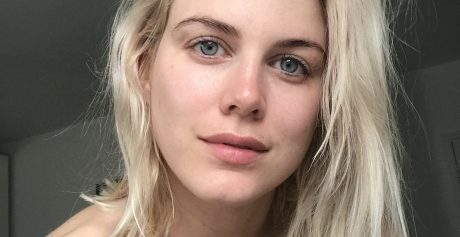 I felt the shade wasn’t doing wonders to my skin tone, and always felt that it looked a little greasy even though it wasn’t because my roots had grown through. If you’re a fellow blonde reading this I am sure you can totally relate to what I’m saying about the roots? So anyway, let’s just say I was well overdue a hair revamp, and my trip to Wella’s World Studio was so great I thought I would share my experience with you. I arrived at the Studio, which is right next to Trafalgar Square, my absolute favourite place in London to feel like a tourist. 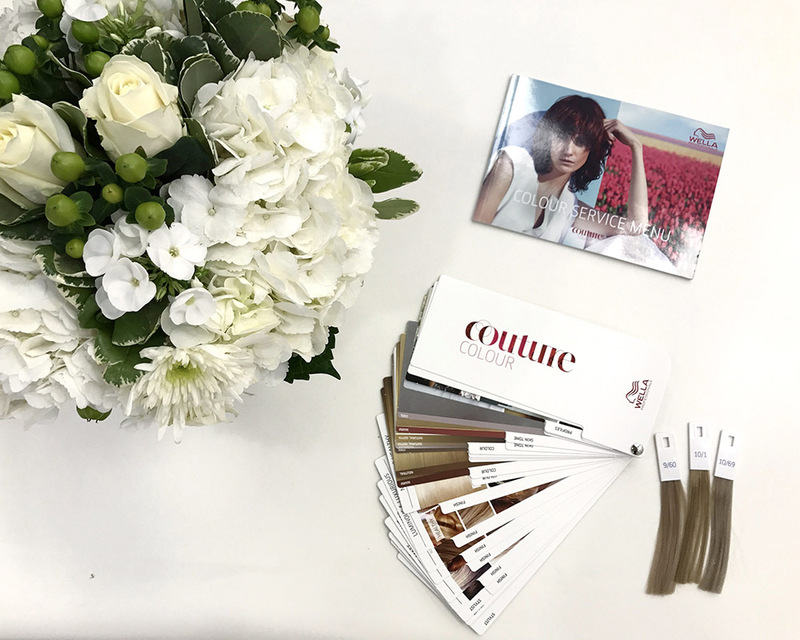 On arriving I met with one of Wella’s Master Colour Experts Claire Chell for a very in-depth consultation where we discussed exactly what I wanted and what she recommended. Claire asked me lots of questions about my natural hair colour, my skin tone and my lifestyle so that she could provide me with the perfect colour. 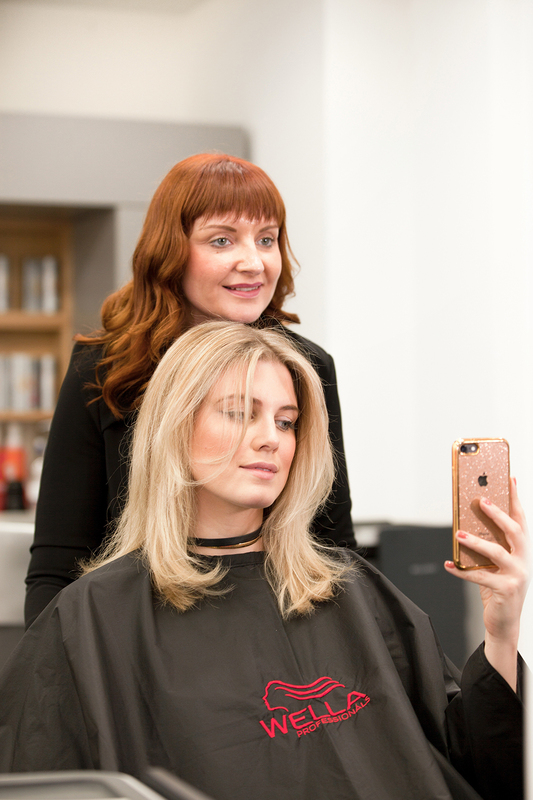 She immediately picked up on the brassy tones in my hair, and talked me through the colours that would suit my skin, which I have learned are cooler blonde tones. It was so useful to have her professional opinion on which tones of blonde work on my skin, and also good because I prefer an ashier blonde anyway! She decided to get rid of my roots and just brighten up my whole head and so then we got started. Claire used foils and Wella Professionals colour products on my hair, working with a T section technique in order to brighten up the top part of my hair, it probably took about 30 minutes and then I was put under a heat to speed up the development process. Claire kept coming to check my hair, and after about 20 minutes she took me to the back wash. It’s so important to keep colour on for the right amount of time, as if it’s not long enough that’s when you see that really yellow-y blonde hair, and obviously too long on your hair would completely destroy it. If you’re thinking about going lighter, I cannot recommend enough doing it in a professional environment, as trust me it is so easy to get it wrong. 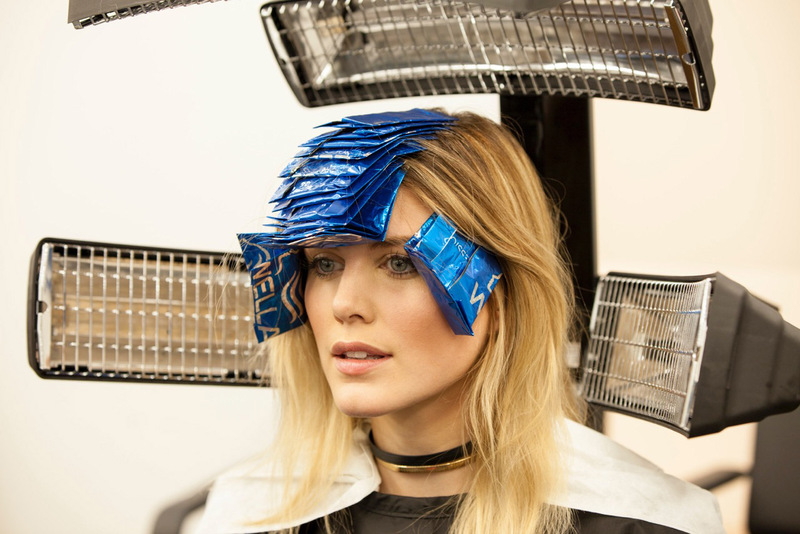 It’s why I’ve never done DIY hair colours at home! After washing out the highlights, Claire toned the rest of my hair to give me my perfect blonde she then shampooed and conditioned my hair. I always, always get a professional treatment after getting my hair coloured. 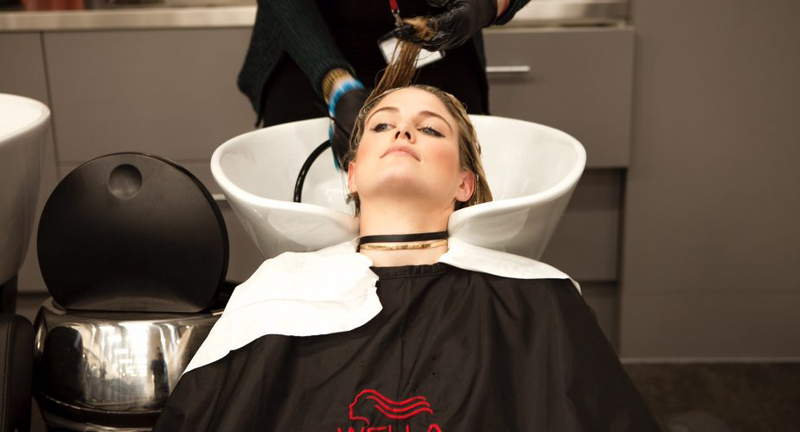 Salon treatments are literally my lifesaver as no matter how good the condition of your hair before you have it coloured, it is no secret that all forms of styling can take its toll. They used the EIMI styling range of products on my hair before blow drying. And tadaaaaa! The final result! I can’t believe how quick it took to achieve a completely fresh look. I honestly think you could even get this done in your lunch break, plus it was the perfect place for me to unwind whilst being pampered. Why can I never blow dry my own hair as good as a hairdresser? HOW? They make it look so easy too and it ends up looking like it doesn’t even belong to me! With Wella’s Master Colour Experts Claire Chell who did my hair. I love my blonder locks so much. I feel that it’s so much more flattering to my skin and I left with a bounce in my step (as well as in my hair – again, a moment to appreciate that blow dry!). I thought this post might inspire you to visit a salon if you’re in need of a little boost. Maybe you’ve never dyed your hair before, or maybe you’re just feeling a little rubbish after winter and have realised that you are way overdue on your colour. We’re coming into Spring and I always think it’s nice to have a little change for a new season. Maybe for summer I’ll be even braver on my hair transformation. 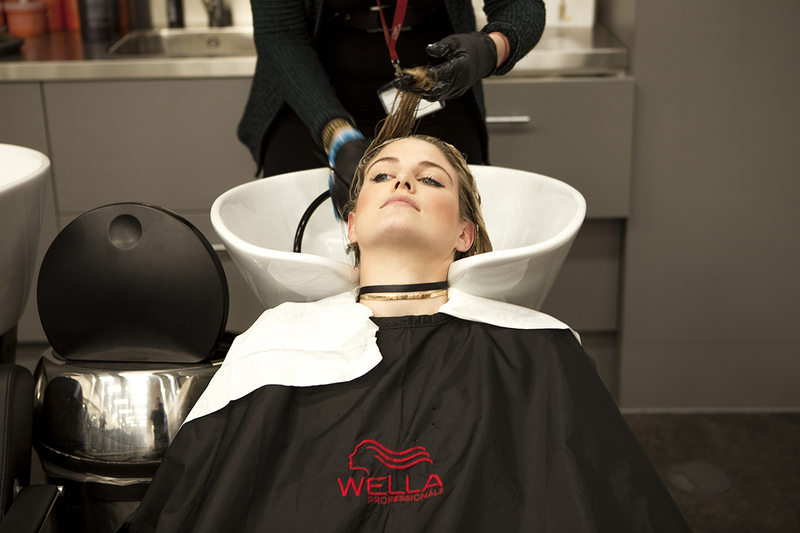 If you are looking for somewhere near you to try out a new colour, then check out Wella’s salon finder here! They also gave me Wella Professionals Colour Recharge blonde shampoo, which basically keeps the gold tones out of my hair for longer so my hair stays cooler for longer. It’s honestly the best secret ever! I’ve been using it for a couple of weeks now and I really like it. I have used a similar shampoo before from a different brand, but honestly it dried out my hair so I stopped using it. This shampoo and conditioner have been way better, it’s like using normal product. I’d love to know what you think of my new hair. And also, if this post has inspired you to get your hair done. Please tweet me photos of your transformation, I’d love to see the results! If you do, then use the hashtag #StylistsDoItBetter so I can find them all.